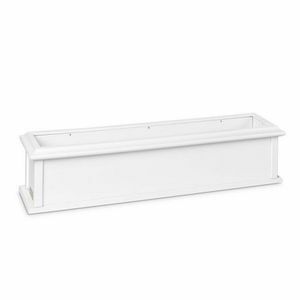 Made in the USA of solid cellular vinyl these window boxes have the look and feel of wood with the ease of little or no maintenance. 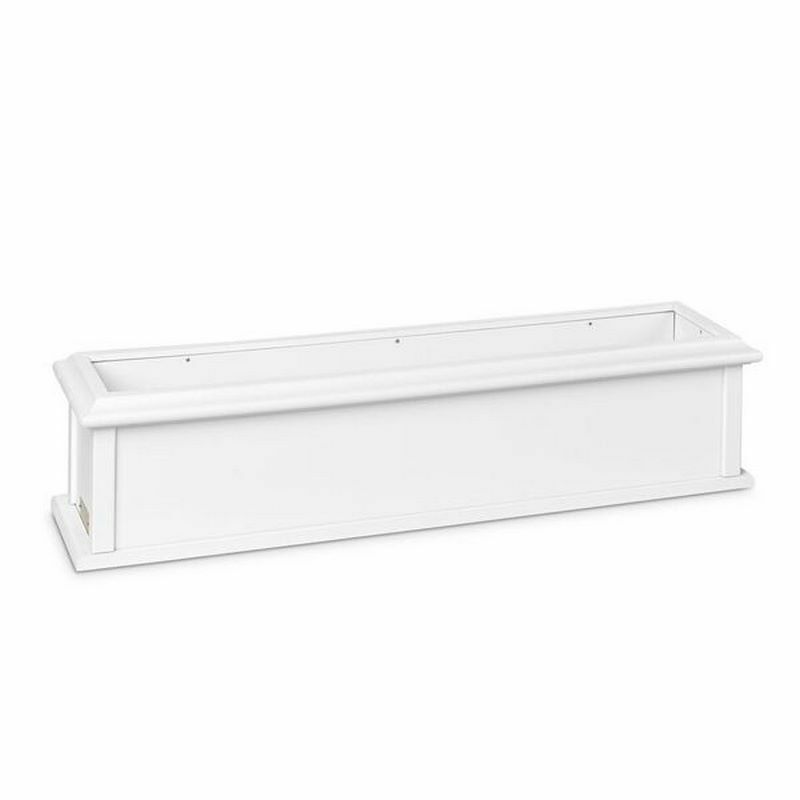 No liners required, the PVC will not rot, and these boxes can be painted just like real wood. The decorative trim on top acts as a locking ring during assembly. Available in three lengths: 36" 42" & 48". Dimensions: 48"L x 9"H x 10"W.
This item Usually ships in 5-7 days.